One of the museum staples in Chicago is The Field Museum! This is where many of us first learned about mummies and dinosaurs as well as gems and other extraordinary artifacts. 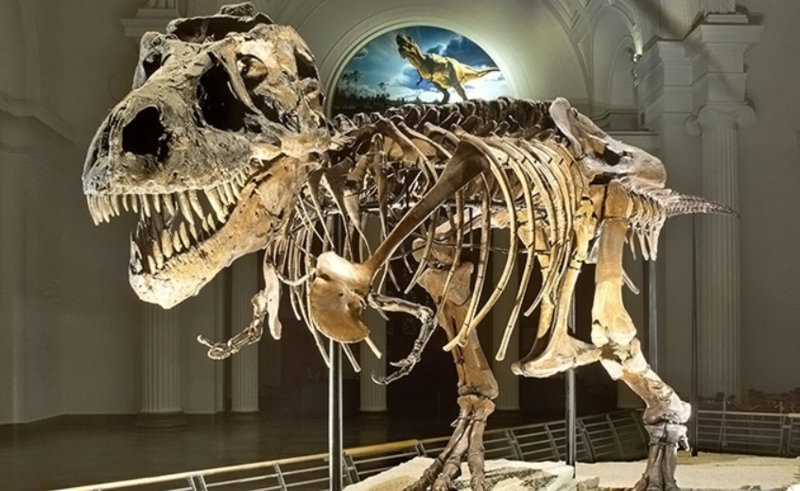 Currently – and for a limited time – you can also get a Field Museum Chicago discount! Groupon is offering your choice of two deals on The Field Museum tickets. To be clear, you’ll be paying the price above and you’ll get $5 in Groupon bucks deposited into your account within 7 days of your purchase. Limit 1 per person and you may buy 10 more as gifts. If you are making this purchase before 7/6/14, you can use coupon code FUN15 at checkout to get 15% off one purchase as well, making your Field Museum Chicago discount that much better. The Field Museum began in 1893 with a collection of objects from the then-ongoing Chicago World’s Fair, beginning a more than century-long exploration of science, art, and archaeology. These days, the Museum—which shares a lakefront campus with the John G. Shedd Aquarium and the Adler Planetarium—contains more than 25 million artifacts and specimens. The collection is so massive that only 1% of its items can be displayed at a time, though that 1% features plenty of historically significant doozies. To keep the Museum’s permanent and rotating exhibitions up to date, The Field Museum’s scientists conduct research at global field sites and on the collection itself. To learn how the Museum is beginning to catalog our world for future museumgoers, check out the Groupon Guide’s recent visit. The Field Museum is located at 1400 S Lake Shore Dr. on the Museum Campus in Chicago.